Algorithms and AI are getting good at writing. Burger King (kinda) used it in an ad series and the technology has even written entire scripts. It’s become so widespread even I can do it. Yes, moi. I recently discovered the Voicebox app from Botnik, a service that lets you upload a text file from which it can produce new sentences in that vein. The question is what to use it on. Well, as I’m a product writer, it’s got to be a product, right? So, I put my hand in my box pile and pulled out a flashlight I’d been sent to review – the beastly DanForce G1 PRO. Now, I’m not the most outdoorsy type, so rather than camping (*shudder*) or faking it (*moral shudder*) I thought I’d get the AI to create some #content about it. With the DanForce G1 PRO raising funds on Kickstarter, this seemed like the most logical place to start. So, I made the algorithm create new copy for the gadget’s crowdfunding page. Like a goddamn military survival kit. Apart from the case, what makes it special? In a word, modularity. It’s the first flashlight with this feature set, meaning you can alter the torch at will. You can do things like add a compass on the end, make it into a power bank, extend the handle, or put different light filters on. Here it is. In my hand. Being held. The G1 PRO feels like a quality product. The design is solid, the rechargeable batteries are a nice touch, and, while a retail price of $89 seems expensive, it’s similar to the cost of other premium flashlights. It’s important to note that you can get perfectly good flashlights for under $10 on Amazon though. Finally, let’s see how it looks in action. THAT’S how you light up a watering can. Agreed. We came here to get an algorithm to write some marketing copy, so that’s what we’re gonna do. So how are you going to get it to write copy? Well, I went to the DanForce G1 PRO Kickstarter page and copied all the text (including on images) into a document. Yes, it did take quite a while, thanks for asking. These are the sections I must create. This is the glue that holds a Kickstarter together. The foundation on which the public pitch is based. In other words, it’s important. So, I’m going to click on the first word to appear ten times and see what happens. How about this – I’ll type the name of the product first and see what the algorithm does. 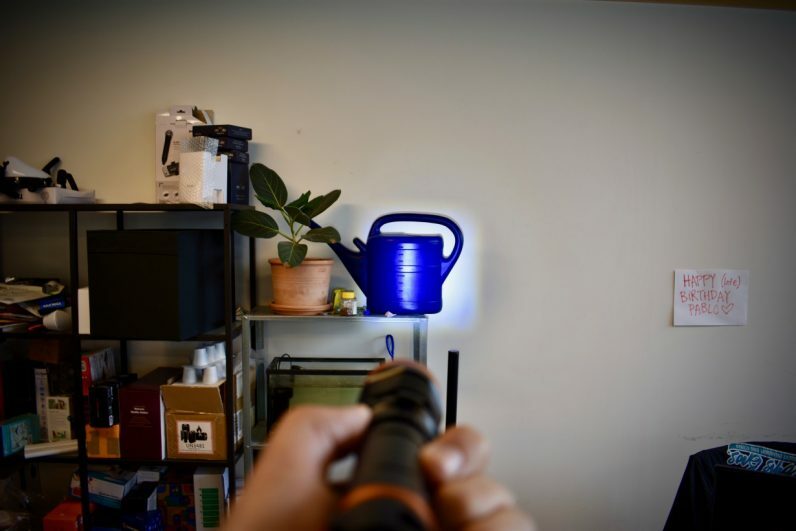 Now that you mention it, this torch is killing it on Kickstarter. Thank you, robot! This is vital. We need to show the public the flashlight’s day-to-day applications, otherwise why would they back the campaign at all? Every good Kickstarter page needs a concluding call-to-action that’s so powerful and revelatory the reader is forced to immediately hand over their cash. Wow, this actually makes sense? This feels wrong, but oh so right. Thank you, sweet algorithm. The DanForce G2 PRO flashlight. Weapons mount pressure, switch emergency power. Bank? Weapons. 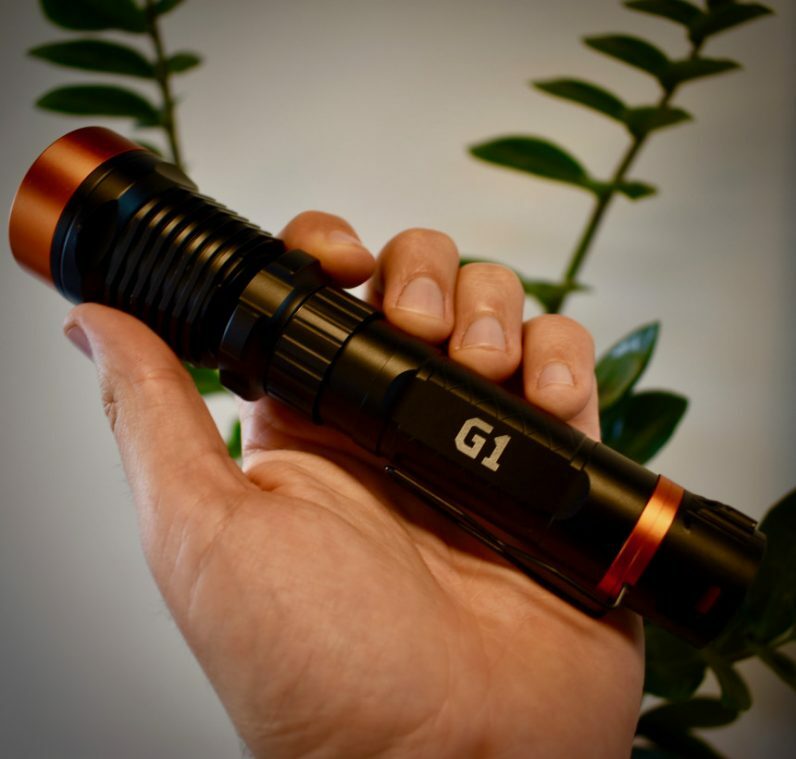 It includes every G1 PRO – is a modular flashlight? Is killing it on Kickstarter. It’s useful to any lighting situation at any time. Hand strap? Neck Strap? A secret gift from DanForce. Back this project. Your support allows us to produce the best flashlight possible. If you are interested in the DanForce G1 PRO flashlight, you can head over to the inferior Kickstarter page here. Just remember that even the most high-profile crowdfunding campaigns can fail, so invest with caution.